Perennial plants are a good investment. Plant once and have flowers that bloom for years. However, some plants that seem innocent enough literally take over the garden and quickly spiral out of control. Others bloom for such a short time that they don’t seem worth the trouble. Here’s a list of 28 perennials I’d rather not see in my next garden. This post also contains affiliate links. If you purchase something from my link, I earn a small commission at no extra cost to you. Thanks! Hated by experienced gardeners everywhere, it’s best to confine this one to a pot if you can. Plant only if you like running around in circles trying to contain it. I love yarrow, especially for making floral arrangements all summer long. However, it will spread to your lawn and is very difficult to get out. 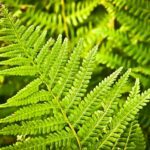 If you’ve read this blog any amount of time, you know I really dislike ferns. Last year I removed at least 100 from our yard, and this year I’m already at 22. (I’ve only cleaned out the area that I worked on last year. . . grr.) They look beautiful, but if you want to remove them it takes a lot of muscle power. I recommend using a hand-held garden tiller like this one. Update: I counted and kept track this season and I pulled out 218. Yes, you read that correctly. . .218 ferns. Curious about what’s in my backyard? Check out what we started with and this years progress on our urban garden. These are EVERYWHERE in my overgrown backyard and they are driving me crazy. However, I’ve had decent luck keeping them under control since I dug up most of them last year. This tied for most hated perennial in my local gardening Facebook group. Just don’t. Yes, they are pretty, but they’ll be out of control within 3 years. I LOVE my Chinese lanterns, but they are slowly taking over my lawn. The roots travel just below the surface, so chemicals are the only way to get them under control. A beautiful herb that is so aggressive it will grow in gravel. Enough said. 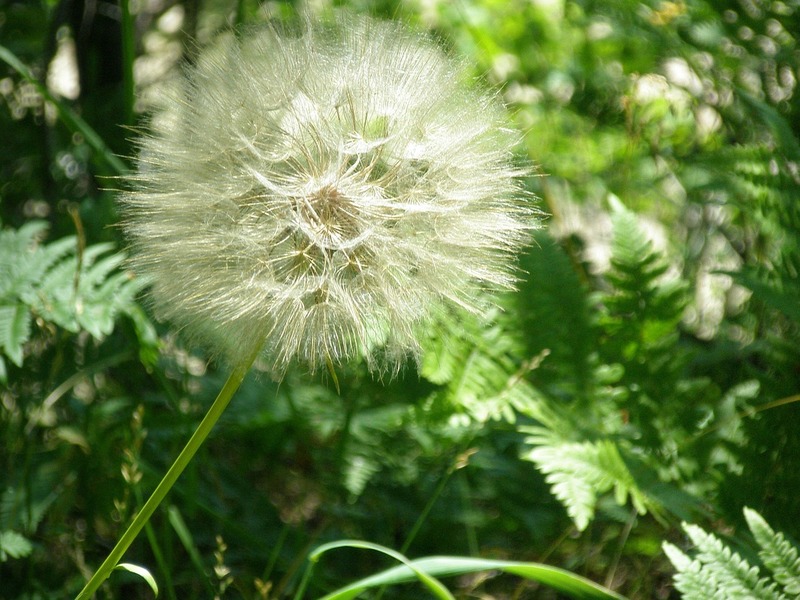 Any plant that resembles a dandelion in full seed is probably not a good idea. Self seeding and fast-spreading. Unless you have lots of goldfinches that will eat the seeds and keep them under control, don’t plant it. See more photos at Dave’s Garden. Very useful as a natural cleaner, but can run wild if it has ideal growing conditions. Learn more about soapwort at The Herb Gardener. When a plant’s other name is Speed Well, you know it’s going to overtake your garden in short order. Another great solution for ground cover in a shaded area. . . until it takes over in 5 years. Unless you want it as your lawn or have a horse to feed, don’t plant it. While it works great for ground cover in a shaded area, you will never, ever get rid of it. In my poll on my local Facebook Gardening group, this tied bellflowers as the most regretted plant. You know that friend who is always trying to pawn off mint to you? This is why. Does a plant have mint in it’s name? Chances are it’s super invasive. Catmint and Lemon mint, I’m looking at you. Shamrocks are beautiful indoor container plants, but become an invasive headache if planted outdoors. Cut back aggressively in June and DO NOT plant anywhere outside of a container. For more information, check out perennials.com. Irises are so gorgeous, but it seems like they last for 2 days and then they’re done. They can also get out of control if not divided regularly. There are so many beautiful day lilies, but the varieties I’ve grown seem to bloom for less than a week and they take up a lot of space. New to gardening? 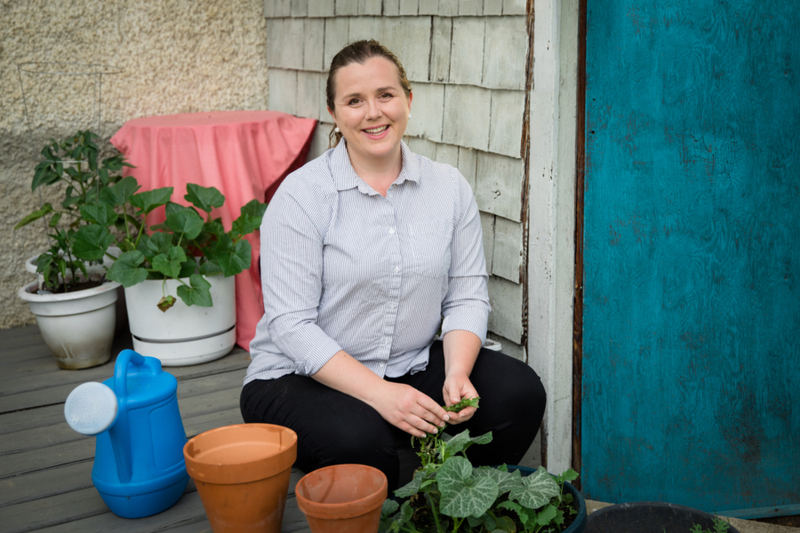 Check out our beginners guide to vegetable gardening when you literally have no clue. It doesn’t matter if you’re going to put it in a south facing spot right against the house. . . it will die. Unless you live in the southern-most areas of the province. Enjoy your zone 4A privilege. Nope. . .not bitter at all. . . While not impossible to grow, especially if you choose a variety bred for the prairies, it is best left to more experienced gardeners. Unless you like that sort of thing. Carry on. 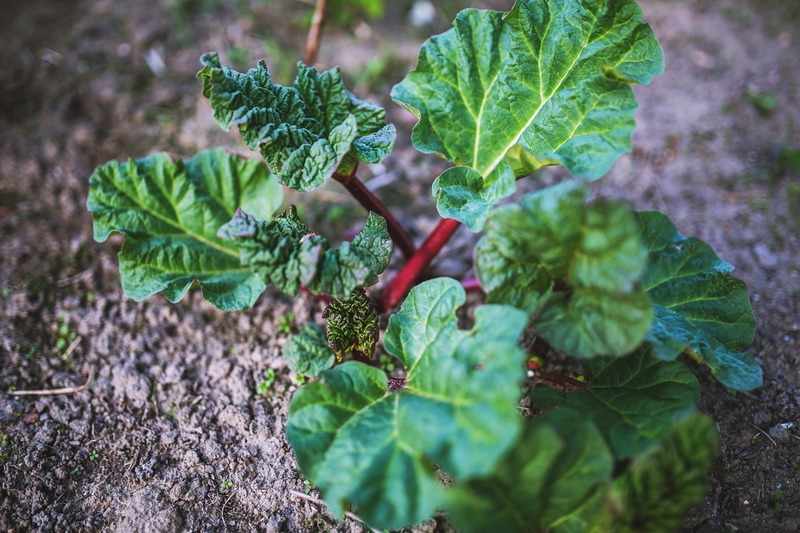 When I was young my Dad dug out our rhubarb plant at least a foot and half down and sprayed it with round-up. It still came back. I personally like having a rhubarb plant, but any more than one is excessive. While the fruit is delicious, be prepared for your canes to spring up in unexpected places. It’s so hated it deserves to be listed under two categories. 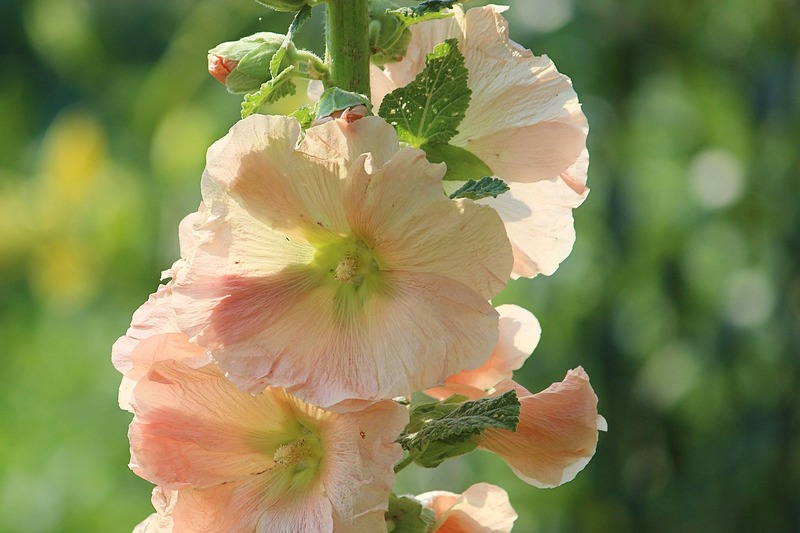 Hollyhocks only live for two or three years but are masters of reseeding themselves. While super useful as a medicinal plant, comfry plants can take DECADES before they start to decline. Learn more about it at The Spruce. Another prolific self-seeder. Save yourself the headache and plant the annual version from seed instead. The good news: it will grow in practically any light or soil condition. The bad news: it will grow in practically any light or soil condition. One mans weed is another man’s favourite flower. If you really love any of these perennials, please don’t let this list stop you from planting them. You can always just embrace the overgrowth. Want to know what you should plant instead? Here’s 53 Perennials you have to have. A super special thank you to the gardeners in the Gardening in Saskatchewan Facebook Group. Your generosity is amazing and this post would not have been possible without you! Did I miss anything? I’d love to hear about your perennial gardening regrets. Most of Saskatchewan is zone 3A or 3B. The southernmost places are 4A, and anywhere from Prince Albert and north is 2B. Kristen, thank you for the info about what not to plant. I would like to add a couple of periennels to your list. One is "Primrose". It has dainty looking pink flowers, about medium size. I fell in love with it at the Garden Center. I only planted 2 of them in small containers in my garden the summer of 2016. It wasn't long & they were everywhere. This Spring they overtook my entire garden. The more I pull them up, the faster they spread. They only bloom in the cooler weather, when it gets warmer in summer, they stop blooming but their stems & leaves remain. A true Nightmare! The second one is Ivy. If you plant Ivy near your house, it climbs all over your house. It attaches itself to your house & when you pull it off, it takes the house paint with it. I had to re-paint the side of my house where it was growing. What a mistake planting Ivy! Oh wow, that sounds horrible!! For something to take over in only one year is really terrible!! F you live in the southern tier of the US, don’t plant Asian ivy unless you want to spend a lot of time sculpturing it along a walk. It’s highly invasive and you literally have to burn it out to get rid of it. Hopefully you have luck with that! Most of the ground covers will survive that first winter under heavy mulch...just went through this process--and its a chore for sure! wow- you sure hate most perennials- all of which I LOVE. Thanks for a great article. I live in Nebraska (zone 5). 85 year-old house. 3 lots. Soil not great. Lots of sun. Some heavy shade. I want invasive plants in part of this, to replace weeds where I don't want grass. (I'm 73, so crazy, huh?) However, this year I did have black-eyed Susans take over the area south of my house where we cut down trees last fall. Not fun getting it back so I can plant sun-loving plants to replace the shade-lovers that I moved. But, thanks to you, I know more about what to plant where I want lots of color and what to plant in containers. It's not crazy at all! Invasive plants can be used to your advantage, exactly as you suggest. I'm so glad you found this post useful. Cindy, I agree with you 100%. Most of the “hated” perennials in this article are staples in my zone 7 flower gardens. Different strokes for different folks I guess, but I sure would hate for a new gardener to read this and dismiss these amazing flowers without further research. I love sharing bouquets of daisies, irises, roses and day lilies with friends, and some of the plants such as clover and dandelion are pollinators for bees. Oh, and the butterflies that feed on my morning glories that climb my chicken pen are such a pleasure to watch. Actually, butterflies are attracted to any flower with nectar. To each their own ~ I saw maybe 6 i'd be mad at myself for planting. I have about 10 listed and do not regret having any of them. Perhaps it's the size of the garden (s) that could be a problem. I'm very fortunate to have 4 acres. I see another 10 i'd love to have..invasive or not ! Beauty in the eyes of the beholder. I love attracting butterflies, birds...especially hummingbirds and have read many of these perennials attract all. Thanks for the article anyway ! I agree with you! I love all of these. But the mint, yes, I'll give you that one. We had cats, and I planted one catmint plants. All of my kitties have since passed away, but I’m STILL digging out catmint that totally took over 2 of my gardens! UGH! OH YES!!!!! I tried for several years to get it established before the cats pulled it up and rolled in it. Then it got a head start and now is all over, BUT I tolerate it because when the cats role around in it they do not get fleas and ticks. So far no one has mentioned Ajuga. I have been fighting it for many years now. I'm with Diane. I was reading & thinking....this must be an article for non-gardeners. It is. It's for people who want to get started in gardening but might not realize how much work actually goes into it or what plants might end up being invasive if they don't look after them every year. Beginner gardener here, you hit the target audience! I bought my first home and planted my first garden this summer. I really appreciate this helpful article! 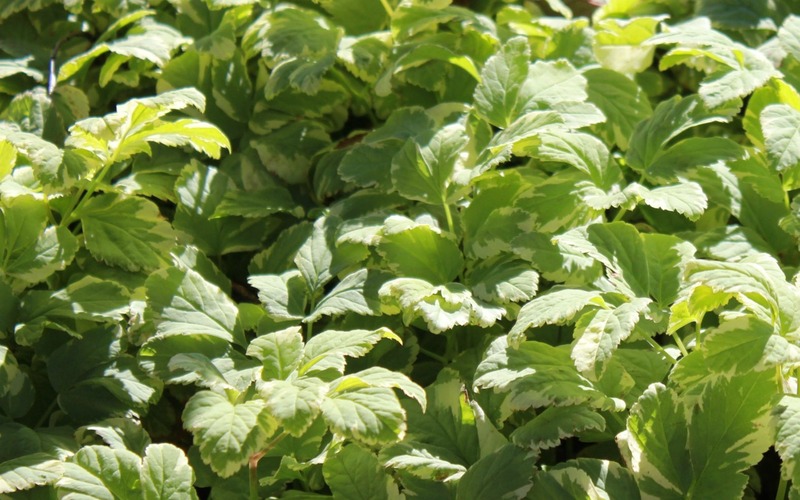 I planted peppermint and spearmint in a raised border bed on a rocky slope. It is erosion prone and hard to mow, consequently the rest of the bed is filled with hardy plants like coneflower, coreopsis, sage, milkweed. They've only had a few months to get established so if I made a rookie mistake planting mint I'd like to nip it in the bud ;) Will the rocky soil and aggressive neighboring plants help keep mint in check or would you suggest I dig the mint up now before spring comes? What part of the world are you in? Do you know what kind of soil you have? (Where I'm from tends to have really good soil, so some of the plants listed here aren't as big of nuisances in other areas.) It sounds like the mint is in a confined area, so it should be okay. However, if those other plants aren't super established, it might take over. If you're really worried, take it out this spring and move it to a pot. You can even dig that pot into the ground if you'd really like to keep it in the one area. Besides Virginia Creeper, I cannot think of a single one of these other ones I would give up in my gardens....so not understand this article at all!!! I agree....I was shocked when I read this article!!! Most of these plants are fantastic and I have never had a problem with any of the besides Vinca Major that the previous owner planted....the worst one is Autumn clematis and even then I let it grow certain places....but it will take over a garden even tho it is beautiful in the fall and smells delightful....just don't do it!!! and Virginia Creeper is a weed...and very invasive but Holly Hocks...day lillies.....veronica, lily of the valley, roses ...daisies????? I would plant them in a heartbeat!!! I'm with you on this one. My mint is excessive, but I drink lemon mint water daily in summer. I personally love a wild garden that produces all summer long. Dies it take a lot of work, yes, but it gives so much back to the pollinators, birds, and us. If you could train a groundhogs to eat what you don't want, now that I'm all for! This is the most crazy info I've ever read. Most of these plants are plants I love and have in my yard. You have to know how to manage them / not eradicate them! How sad. You probably hate kittens, too. Just the little ones. . . kidding!!! It's true, if you know how to manage them, most of these plants don't have to be a problem. It also depends on your soil conditions and growing zone. This article was originally written with plants that are problematic in zone 3 in mind. Since then I've learned a lot from everyones comments. I agree on every one, having had them all out of control one time or another. Wish I'd known this info as a young gardener 30 years ago. Thank you! I also agree, I have had most of them except the hated lily,of the valley which is one,of the worst weeds ever. Some of these cannot be controlled unless you use,something like roundup on them not a good choice but sometimes necessary. We tried to get rid of virginia creeper and after digging about 10 feet down and still finding viable roots we did resort to round up and it took 2 years of roundup usage to finally destroy them. Any new gardener that plants any of these plants will soon hate gardening. Only a fool or unlearned person would purposely plant them. I totally agree! One had to know how to manage your flowers and/or plants! Why so many negative comments on this post? Snarky negative comments..... here’s a tip... READ the entire article, if you do you read her explanation as to WHY she feels that way... she also states “IF HOU LIVE THEM, PLANT THEM”.... people can be so nasty these days... I read as many negative Nancy’s as I could..... then I had to respond.... enjoy your plants.... I love the information... I’m not one for chasing plants all over the yard.... I moved into a home over a year ago... whoever was here before me stuck plants in any free space they could find... and a lot of them spread..... so, no it hasn’t been fun for someone whose not a Sweet Young thing, who has a bad back and other pain issues to try to get my yard under control.... garden on folks!!!!! And that seals the deal that I'm planting my ferns and lily of the valley in containers! But ferns reproduce by spores, and those carry easily on the wind. Better in containers if spreading is a concern, but maybe best in caontainera away from the ground/on a large patio? Ferns can also spread by their roots. Hay scented fern roots form mats several inches thick and it's awful to remove. Keep in mind that not ALL ferns are invasive! Some behave very nicely. Please do research on what works on your area. 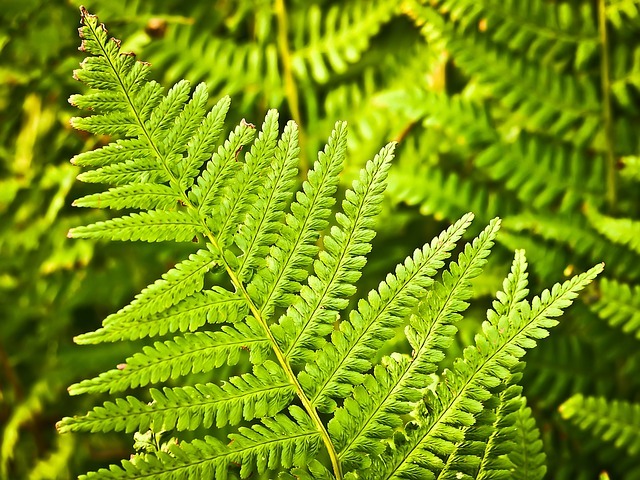 Ferns are beautiful, and many are non-invasive. Yes, I agree. First it depends on where you live and your garden knowledge. And yes your ability to manage any particular one. 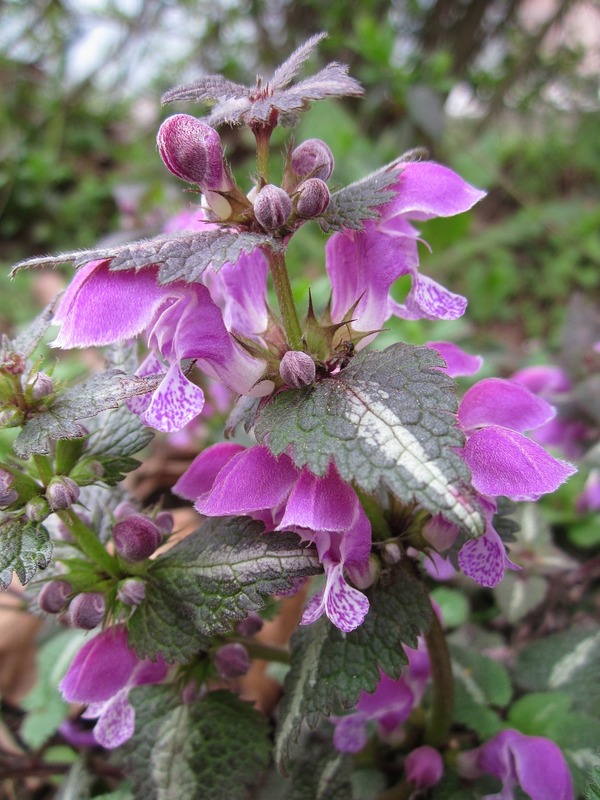 I would never plant lamium as I've had it take over areas I've not yet gotten to. What you show as 'fern' is I believe bracken, not a fern at all. Very annoying as it runs and pops up everywhere. All you can do is keep pulling it up, gatting as much of the runners as you can. Ferns, on the other hand, spread via spores but they do so most sparingly. I have many and wish they would more easily self propogate. I live in a 7B-8A climate so pretty perfect if they were going to easily propigate. Oh wow good to know. I really like some of these but if I really feel I need them then they'll go in planters. I'm working on getting my new yard in shape. We just bought a home in a new state so your zone info helps too. Chives are the bane of my life. I have a bricked patio and they're creeping up all over the place in between the bricks. Keep them in a pot, away from everything! Best thing to control chives, in addition to container planting, remove ALL the pretty purple flowers before they go to seed. Has worked wonders for me! Thanks for the excellent tip! Hmm. . . now should I remove mine or not this year? I kind of want them to spread so I'll have some to share. Ignore the trolls Kristen, I enjoyed your blog and appreciate anyone trying to save me some work in my garden. I was thinking about ferns and now I’m rethinking it. I’m in zone 4/5. Thanks for the encouragement! I think there are some ferns that don't get out of control, but whatever is in my backyard is an absolute nightmare. If you do buy a fern, buy it from an actual garden centre and ask the staff for advice on picking one. Thanks for all this information and I enjoyed the pictures too. Great tips! I am a beginner at gardening and just planted a bunch of flowers in my front flower beds. I'm pretty sure I didn't plant anything from your list! Oh good! I'd love to know how your perennials do this year. Do not plant English Ivy. It will take over your world; your house, garden, and trees. I found that out just recently. I have a plant in the house and the branches are now about 2 feet long. It will have to have a trim soon! Mom planted ivy in the woods to avoid dealing with leaf raking on that acre. 50 years later it is the ivy that ate the forest. Was 25 feet up the trees. Goats brought in did not control it. Finally a winter was bad enuf the deer dug thru the snow and dined, also ate 8 ft up the trees. Next spring it was sort of trimmed back. 17 yr old boys digging plus a backhoe when we dug the septic mostly got the last of it. She planted 10 shoots. 50 years later it was an acre! Worst part about ivy is that it hibernates any stray poison ivy so getting it under control is a nightmare. Skip the ivy. This post made me nervous - we bought a house where the lady had already done tonnnnnnns of landscaping and I don't know what anything is. Luckily, none of the plants are any of the ones you just listed! Hallelujah! I did the same thing!! I still have no idea what all is in my garden. The whole front yard which really isn't that big was covered in various plants. I had them all dug up except for under the front window and out grass in. I like it and I've received compliments from a few of my neighbors! Lucky you. I am trying to keep careful notes for whomever gets my house one day. I've practically killed myself in this yard and I want someone to continue to love it. As it is, I live in good old HOT HOT HOT Texas and would kill, well, not really, to grow some of these. Most of them turn up their toes as soon as summer hits here. My sweet little primrose took one whiff of Texas in the summer and turned to dust. My raspberries struggle and haven't even seen one berry this year. It must be wonderful to garden where your plants don't cook. While my zucchini has leaves that would put the biggest elephant ears to shame, there is no fruit this year. I am so sad. The only thing really thriving is cannas....even the ferns I planted refused to grow. In my next life I am going to live along the nw Pacific Coast. What is a bane to you people would be a glorious here. I am envious. I'm hearing the same thing from everyone who has commented in Texas. I'm sorry your growing conditions are so tough! Apparently there is an app that you can get to help identify plants. You take a picture and voila you get a name. Don't know the apps name though. Maybe some one else does. For PC's, go to "images.google.com. For android, search for app called, "Google Goggles". Follow the instructions. It doesn't directly tell you what an item is, but will display similar images which you can peruse to find out what it is. Note: Kristen, read the sentences you wrote about affiliate links. There's an important-to -correct error. I had to laugh when I passed by the mint photo! I planted it and soon realized how 'happy' aka invasive it is! The next year dug it up and buried a pot below ground and replanted it in it. I love having fresh mint, so that was my easy solution! Mint, oh my god the mint! I didn't realize it was hardy when I emptied my herb container in the compost pile at the end of the season. Boy do I regret that life choice! It has taken on it's own zip code in my backyard and it just keeps growing. In fact the worse I treat it the more it thrives! I warn COMPLETE strangers about mint when they are looking at them at the plant stores! LOL! Oh no!! That sounds terrible! Good luck trying to get it under control. At our house it's ferns (currently I've removed 118 this year alone) and bell flowers. Ugh. Good to know about killing off mint and daisy! I'll be sure to share that with my gardening group. That sounds HORRIBLE!! Eek, I'm only on year 2 of getting rid of my invasive perennials. Hi, while I agree with a few on your list (bishop's weed, comfry, lilly of the valley), I feel that a lot of the others should be used. If you really enjoy gardening and don't mind moving and /or sharing plants, some of the ones on your list will make great additions in my opinion. Some you can't get rid of when you try and those are really the ones to avoid. But if you just have to divide them to control, then I feel they are an asset. No doubt some of these are TERRIBLE, but not all. Thanks for warning others about the dangers of planting without research! I totally agree. If you love something on this list, you should still plant it. The worst is yucca!! It's roots go so deep and When you try to get rid of it it produces lots of suckers!! Oh no! I never would have thought of that! Maybe it would be helpful to put some mulch underneath the spot? Buy or make your own non sprouting bird seed. Best you do your own research on making your own but it basically involves baking regular birdseed. If I remember correctly it is claimed to not alter the nutritional value of the seed for the birds, just sterilizes the seed so it won't germinate. My problem with bird feeders was not with sprouting seeds but the dropped seeds were a buffet for mice and voles the raised havoc with my garden and invaded the house. %#€>*%#, I hate mice so I gave up on feeding the birds. No to mulch. The seeds will germinate in it. I know from experience! We finally put bricks around the feeders and filled in between them with a concrete filler. Finally, no more sprouting seeds. Just sweep once in a while. Thank you for your insight!! It's great to have people share their actual experience. Birds do not like anything at the bottom of the feeder, not even flowers. It gives "bad" animals a place to hide. When you buy less expensive bird seed there is a lot of waste (filler) that is dropped on the ground and some of it can take over your lawn. I finally got talked into more expensive bird seed. What a difference. No more seedlings under the feeder. It cost a little bit more but there is no waste and the squirrels and mice and rats are not as attracted. Maybe try giving the Chinese lanterns excessive amounts of water? I had some where the sump pump drains from our basement and all but one plant has died. But if you love it you should grow it, no matter what this article says. If you're in zone 2 or 3, I have another post about what will grow here that's really nice. English Ivy. I've dug it up used 25 different plant killers and it still won't die. I've even salted the ground and my dogs have taken to peeing on it. I would also add ivy to this list. It is quite invasive and has thick finger type suckers that adhere to walls, brick, anything and have to be scraped off. Good to know! 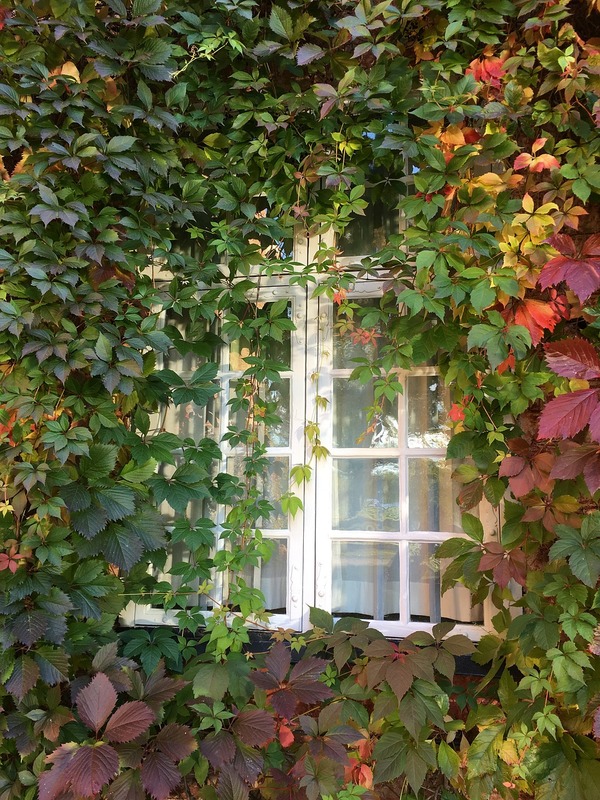 We can't grow that ivy well in my hardiness zone, so I've always admired buildings with it. I guess it's more pain than it's worth. No mention of clematis or spiderwort. Those are my pains in the garden. The clematis has pretty much ruined my dogwood trees. The spiderwort is everywhere in my beds and lawn. I've even had the help of my little grandsons to help dig up the spiderwort. Lo and behold, where they dropped their weeding prizes at the curb has now got its own spiderwort patch. Oh no, that's sound terrible!! If I get enough new suggestions like yours I'll make another post. For heavens sake never plant the camelion plant in the grown. It will take over in a heart beat and there is no way you can get rid of this beautiful plant. It is georgous to look at it has all colors in its leaves. I tell you its roots go to China and back. No weed killer even comes close to killing it. So if you have to have a start plant it in a big urn and keep it on the patio. i agree wjth most of your comments.But if you contain some they are okay tell me what other than lily of the valley will grow under ever green trees?and i love rhubarb. just dont let go to seed.if you stage your garden different things bloom at different times not everything blooms at once.i know my [primula and prime rose and spring bulbs welcome spring them globe flowers iris columbines elephant ears annuals peonys lilies asters mums.IF I WANTED THE SAME THING ALL SEASON ID PLANT ANNUALS AND THATS TOO EXPENSIVE.FOR MY BUDGET. You're right, there isn't much that will grow under an evergreen tree. Even though I wrote this post, I believe that if you love a plant and want it in your garden, then you should plant it and enjoy it. (Even if it made the list.) Happy gardening! st. johns wort and vinca will grow under them, so will sweet pea. all three of them are terribly invasive and hard as all get out to get rid of though. Azaleas and rhododendron grow great under pines...blueberries and raspberries too though the raspberries can take off if you arent careful too...not hard to research on pinterest in the search line...acid loving shade plants. From what I have seen in my neighborhood (I live in a tall pine forest in the sierra nevadas of northern california) grass doesnt do well at all, mosses do do pretty well though.......and those ferns talked about. If I had my druthers I would love to do the main part of the lawn in irish moss as groundcover (yeah, here it takes off I've heard but its short and pretty enough to just be a soft short carpet) with a meandering path of flagstone and small to medium sized beds of color - mostly perrenials - here and there along the paths...a bench with an arbor ( and a flowering vining plant) over it and bubbler nearby off in one corner. Your dream yard sounds delightful! Vinca MINOR, if planted in a colder region, especially where it's snowy, will die back in the winter and regrow each spring. Before seeing new growth, rake the area to remove dead foliage. I have a home in zone 3, and my 20' x 10' patch under my pine and dogwood trees was the same size 20 years ago. It needs regular water in the summer. Vinca MAJOR is considered invasive. I have no clue about its use in much warmer climates where its water needs may be an issue. Vinca vine loves to grow under evergreens at least in Minnesota. I love its evergreen shiny leaves and the purple blooms in spring are a delight. It's a shame to "weed out" these beautiful flowers b/c they can't be "controlled" ... you groom your lawns and gardens to look Home&Garden Perfect...surreal? Nature provides us with so many beautiful, useful flowers and plants which are relied on by other species, especially insects (eg., bee species) without whom we could grow very little! 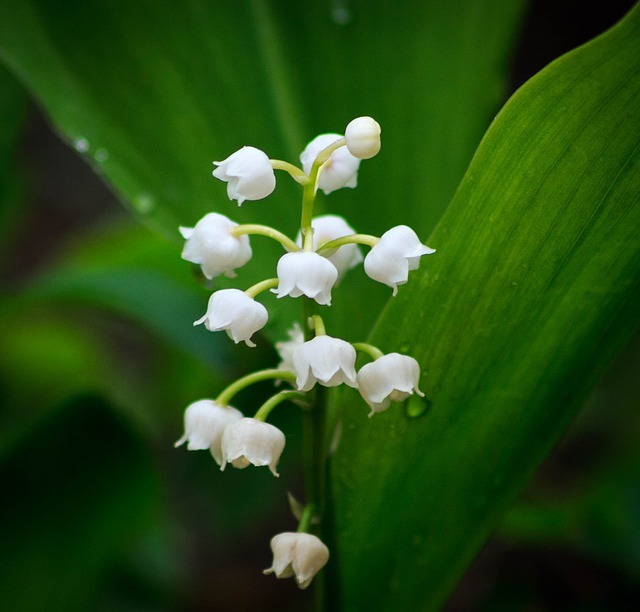 The scent of Muguet de Bois (Lily of the Valley) is one of my favourite childhood memories ... let's try to remember we share this Earth with others, and let's try to not destroy species who've been here for millions of years! Humorously written! I enjoyed your post and have another one for your list - BLEEDING HEART! The original 2 plants I put in my garden are long gone but I constantly find new plants yards away from the original spots. I think this this is one for containers. Thanks for the info. Thank you! What zone are you in? I'm in zone 3, so bleeding heart isn't a problem. I've gotten so many other excellent suggestions that I'll definitely be making a follow up post. Have ferns all over the place. They look good in certain areas but other places they are are a pain. Very hard to get rid off. BUT......nothing beats GOUTWEED! It should be illegal to sell that stuff. Not possible to get rid of it. Asked several experts and tried it all ugh It is the bane of my existence!! Lol, I feel your pain. Worst plant ever is wisteria! Beautiful flowers but the vine is impossible to keep under control. It destroyed my pergola and grew 80' into nearby trees within less than 5 years! The main root was 2' around and the other roots were as thick as my wrists. Talk about work to get rid of. Be warned, Never plant this beauty! I wish I knew this several years ago. I battle many of these plants. Now violets are all over. I can't get rid of them. I bought ONE passionflower vine so we could raise Gulf Frittilary butterflies....and I blinked and they took over. Runners underground shoot up new plants all over the yard. But we did hatch several caterpillars/butterflies from eggs. This is in San Antonio Texas. They look beautiful! I live in a zone 3 area, we can't grow them. Although from your experience, it's probably a good thing I can't! Use Pre Emergents on flowers that self seed. That's what I do to my. 4 o'clocks. That seems to keep them under control. I also do that in front of my Hollyhock patch and in my lawn. Zone. 7b 8a here. Preemergents is brilliant! Rose of sharon with that 15 inch tap root in the first month from blown seed or bird drops has been another bane. Thanks! And no one has brought up planting bamboo without rubber containment yet. Prior owners put it in and it was 50 feet across the abutting s hool yard when I moved in. 5 landscapers with pickaxes, shovels and a Kubota to get that out. Plus constant mowing to drain the energy from the rhizomes. 1 inch left in ground could grow 1 foot in a day. Zone 7b. Should be a law that people need planters ed before putting that in. I think I'll have to do another post. There are some excellent suggestions in the comments! Bought a gooseneck a few wks ago, sounded pretty & different, then Googled it----it's still in the container! And w/stay there! Also, re: Wisteria--I strongly advise NOT planting it. I'd like to strangle the person that planted it, where my mom now lives, as much as it has strangled the large trees & all other plants, bushes, etc. around the house. As stated, up to 80' up the trees, huge roots, difficult if not impossible to get rid of. We've tried! I have tri-colored Japanese fern which has spread only a foot over the last 10 yrs. & it's low growing. Enjoyed your post! I'm in Conn. I love the Japanese Painted Fern best. It is low growing, keeps in it's place well, and if it grows a baby someone always wants it for their own yard. Thank you for suggesting a better alternative! I agree! Never plant Gooseneck! That is all you will have in next to no time. YESSSSSSSSSSSSS Morning Glories.......so very beautiful....self seeding little monsters. We too are still fighting them 5 years later. LOL We live in Zone 5 (about an hour West of Chicago) and many of the flowers you named (Daisies, Holly Hocks) are difficult to grow here. Although the Lilies give me exercise by digging up their underground bulbs. I moved to Georgia from Florida and planted morning glories. My father told me I was crazy, but I said the cold weather will kill them. Hah! forgot the self seeding. I am also fighting the little monsters who show up no where near where I originally planted them. I love daylilies. Once they are established they produce so many blooms on one plant that they bloom for weeks. Just deadhead them daily to keep them looking really neat. I prefer the shorter varieties to the huge taller ones. I should have mentioned that it seems to only be the orange day lilies that are really aggressive. The other varieties don't seem to take over. Hmm....I'm in zone 6 Michigan and wondered why I have so many beautiful orange day lilies opening up! Didn't know they spread. It's weird, because it seems like any other kind of day lily doesn't seem to have a spreading problem. In Wisconsin, the orange are called ditch lillies because they are usually found growing wild along road sides. I think people put them there so they don't have to mow the road side and they choke out anything else that may grow too tall by the highway. I bought my current house a couple years ago and and left behind a lot of the problem plants when I moved. Love lily of the valley and the spiderwort, but they were taking over. Left behind the obedient plant and gooseneck, because I could control them in the clay of my old garden, bud knew they would cause trouble in the sandy loam of the new place. I continue to have daisies, but rip out any that encroach on areas where they don't belong. 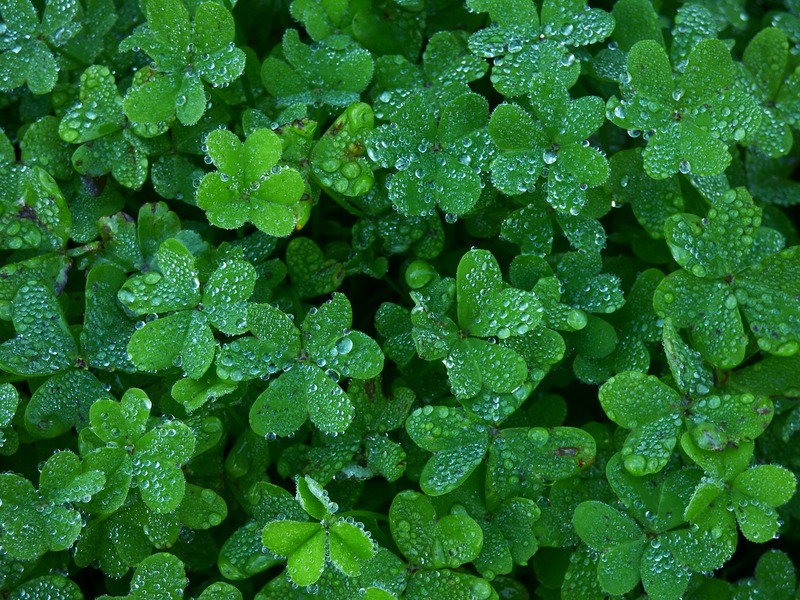 Oregano is related to mint and has the same invasive habit, so if you like growing your own, containers are the best way to control it. Love the article. Plant what you love, but remember the plant's habits and you will go far and be less frustrated. Thank you for your kind and informative comment. What area of Wisconsin are you in? I've never noticed that when I've visited, but I think the ditch lilies are a great idea. They're called ditch lilies here in PA too. They look pretty, fill in an otherwise ugly sight and can handle the drainage from heavy rains. But keep them in the ditch! They spread like crazy unless contained and need to be divided on a regular basis. If you have a large yard and need something that is low maintenance and fast growing in the sunshine, this may be the plant for you. some of these spread by seeds only, so all you'd have to do is trim off the spent flowers and they won't reproduce. Disappointing you'd say to straight up avoid them. What if you have a hundred plants and more are added each year? Cutting off the spent flowers would take hours. Eliminating most of the plants still provides for a good number the next year or so. Also, if you have anything growing in driveway cracks or such, pour over them a very warm mixture of 10 parts water to 1 part bleach. This should only be used where it is not an issue to contaminate the soil. Creeping thyme...looks pretty at first but seeds itself everywhere and takes over. I let it grow in the spaces between patio blocks but it's now everywhere and taking over the gravel paths between my raised garden beds. ..big mistake! Oh wow, you know things are bad when you'd rather have mint! I can relate. Evening Primrose can show up hundreds of feet away from its mama, and needs very little water to survive. At my home in zone 9, they die back on and off during the year. Evening Primrose. Such a pretty name for a pretty flower. Within 2 months I had to dig out a whole section of garden and again the next year plus pulling up strays for a couple more years. From 1 plant. This was in full sun in Virginia. Bishop's weed is the bane of my existence! One little root planted take over an entire yard the next year. It’s my main problem too, it’s out of control and I don’t know what to do. I wish I had your "problem". I have planted many of your list and not had the same experiences. Are you living in the Garden of Eden that so many of your plants become invasive? 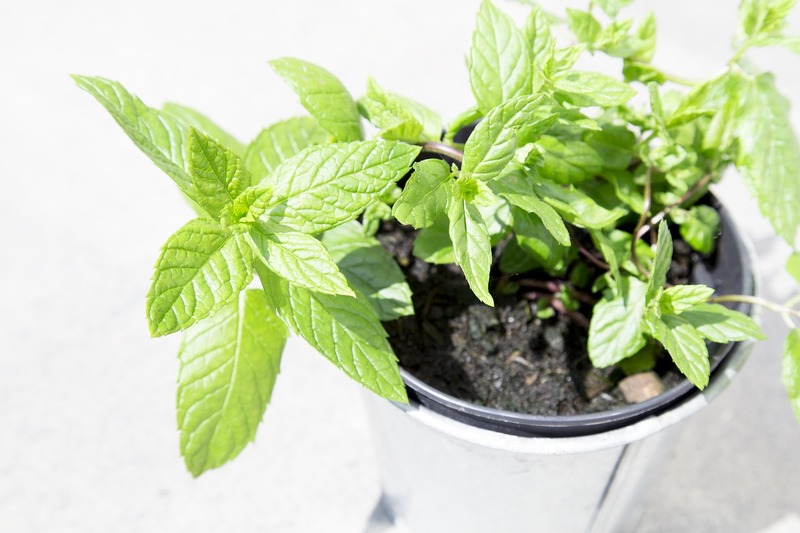 Even mint is easy to contol if planted in a submered plastic bucket. Kind of, I live in Saskatchewan, the world's bread basket, or so we're told, lol. I found that in my gardening group too, that most people found the plants on the list invasive, but some had no problems with them. You're right about the basket. When I do a second post on the subject, I'll have to include that trick in there. Morning Glory is another bad one...and the stores sell SEEDS!!! I never regretted planting any of these plants. There are ways to keep them more contained in your garden and yes you have to make some effort pulling seedings but it's called "gardening" for a reason and it's healthier than taking antidepressants. I think people should grow whatever appeals to them and keep in mind that some of these plants will grow when all others will not. That's why fine gardens are filled with them. I agree 100%. If you love something, even if it's on the list, you should still plant and enjoy. If you love gardening, you can rejoice in the beautiful flowers all these plants provide you with. They make great gifts/sharing....and my "invasive" flowers weed much easier than the real "weeds" For instance, I planted soapwart for a few years ago and it has scattered on the wind. I weed it out many places and just let it grow in a few. But it creates such a dense cover in the spring when the other weeds sprout that it kills them out. 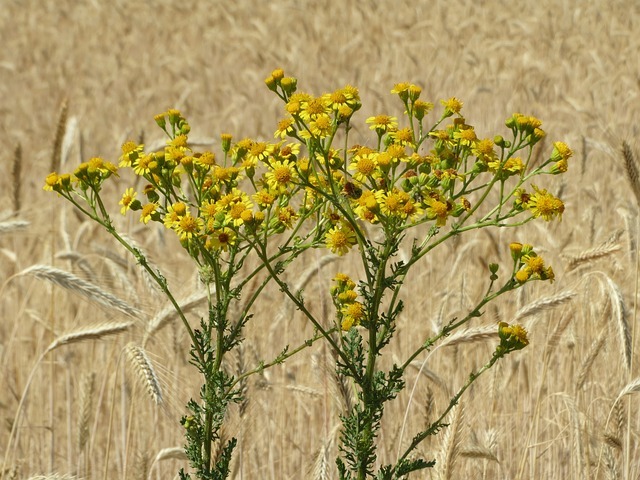 I wait until they are done flowering but before they go to seed and pull them out. And they are lovely and smell great! That is true! I'd much rather pick out bell flower than a thistle. I agree with some, but not all. I love my Lily of the Valley, and Bee Balm too. My daisy patch is beautiful this year. Just have a separate space for these. The DEVIL is a plant called Chamelion Plant. JUST HORRIBLE. Spreads like fire and stinks too!! I have spent 3 years trying to get it out of my hosta bed. Wish someone had warned me. It has beautiful foliage, pink and white with green stripes. Brightens up a shady spot, but DONT do it!! The little nursery pot looks harmless, but it is super super invasive. Even coming up in a rock walk way. Another NO is bamboo!! That is a LOOOOONG story!! Chameleon plant -hoyttunia - gets my vote too!! Should be illegal to sell this pretty little stinker. Sweet Autumn clematis (with the tiny flowers), wisteria, and morning glories were my other big mistakes. I think for wisteria it may depend on the variety - mine is 95% foliage, not much flower. The buried container for planting mint didn't work for me. The mint "walked" over the lip to the surrounding ground. I heard for bamboo using a buried container. I met someone who kept having to dig up new shoots that multiplied quickly. I keep the mint contained in its planter by using the hot salted water from cooking pasta or the hot vinegar when I clean the coffeemaker. I pour it over the bits that try to escape the edging. After I pull up as much as I can. Probably gout weed, lily of the valley, and bellflowers are your best bet. As long as you're okay with them taking over, you'll fill up your yard quickly. Wow! I'm a complete gardening novice & all this info leaves me rather breathless, wondering what I should try to beautify the small strips of space in front of my newly rented duplex in Vancouver, USA. Right now I've got a plethora of dandelions & other varieties of weeds. I'd thought of putting in some sunflowers, but was told nothing else planted there would ever grow. Everyone in my cul-de-sac has lovely displays, but they're almost all the same plants. I'd like something different but haven't a clue what to try. I'm on a very limited budget, too. I'd welcome some input! 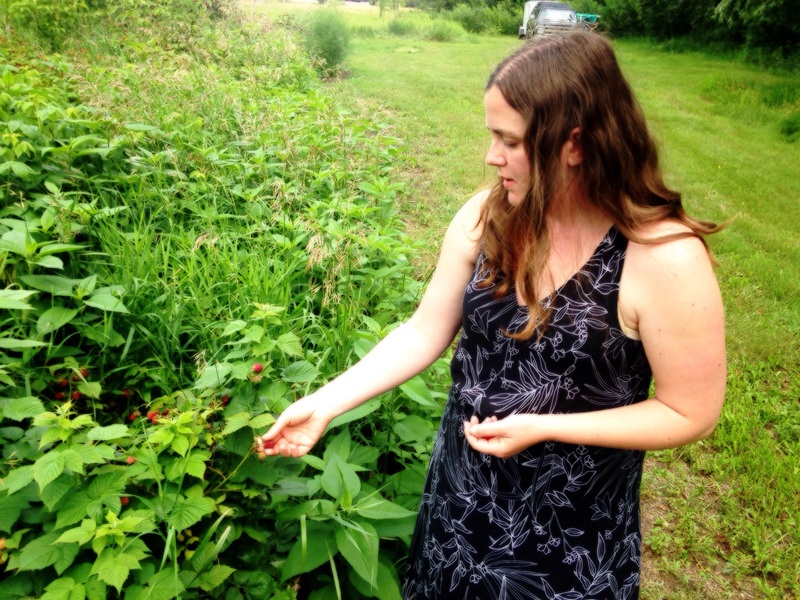 If nothing grows there, I would actually suggest trying some of these invasive plants. You should also start adding some compost to those patches of soil (once you've weeded them). It might take some trial and error, but I'm sure one of these aggressive plants should grow in your space. We are in zone 8 in California and our worst nightmares are Rose of Sharon....seedlings spreading like wildfires, bamboo, morning glories, celosia, mint, and newest is palm trees from seeds of the palm trees in our neighbor's yard. We have (had) hundreds of seedlings growing...looks like a thick blade of grass that root easily....ugh! We have beautiful soil so most things grow without any trouble and thrive. Actually this is great to know -- I need plants that will spread, particularly to provide forage for bees! LOVE clover for "lawn", it looks fabulous when cut, and tends to stay low if cut somewhat regularly. I live on rural acreage, and need something besides weeds and grass in the fields!! Perfect! Glad I could help. I'm really surprised violets didn't make the list. They are beautiful but creep into the lawn in no time at all... everywhere..
You're right, they are really bad for that. I'll have to do a follow up post. With all the suggestions in the comments I'll have at least 28 more! Thank you for your kind words! I wish I could see your garden, it sounds amazing! I didn't know that you can grow peonies in containers. hi from Washington state; the Pacific Northwest. I have noticed that nurseries and even the Big Box Store sell things on the state restricted plant list! That is horrible! Much of WA. is being taken over with Scotch Broom - which is on the list - yet nurseries keep selling it. The bright yellow flowers are beautiful and the soft little leaves are nice but it gets up to 6-8 feet high, produces THOUSANDS of seeds from one plant. The seeds get into gutters and streets, wash out to streams and rivers, sprout EVERYWHERE in the wild areas and crowd out native vegetation. It is not edible by farm animals so can ruin a pasture in just a couple of years. Please do not plant Scotch Broom! Also sold at nurseries without a warning sticker; Ribbon Grass. 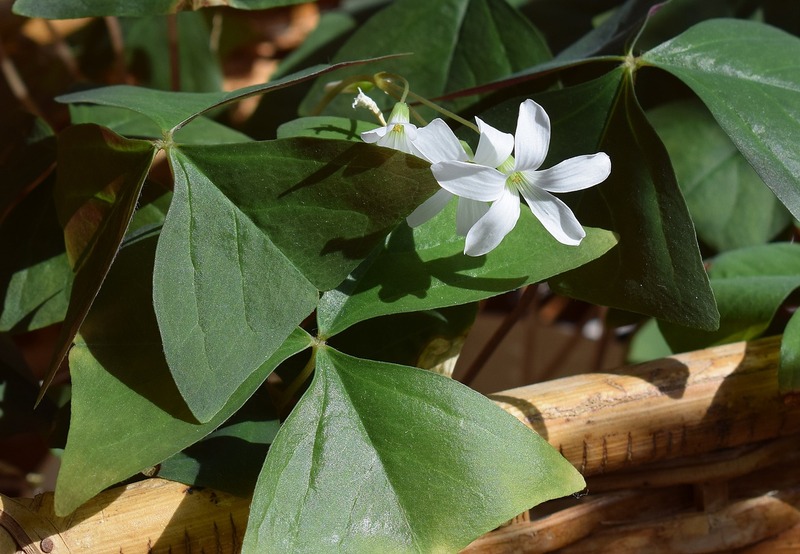 So pretty, green & white leaves, spreads easily with tough knotted roots. But it is a thug and crowds out everything and is nearly impossible to dig out. Plant only in containers! Oh no, that sounds awful! There really should be tighter regulations. Wow, that sounds so aggressive!! I've grown a few of these and enjoyed them. In South Central Alaska, The Valley, I've grown golden raspberries on part of a fence -The kids enjoyed them just to pick and eat. 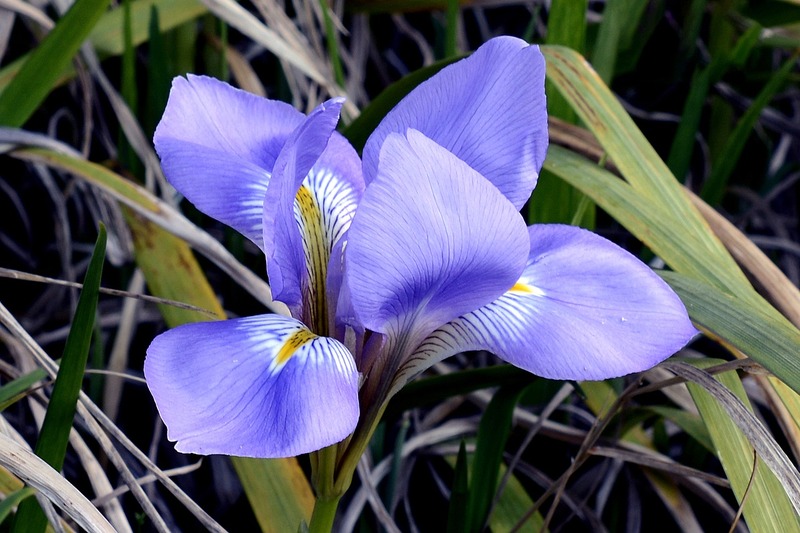 I also had arctic iris. They would come up and bloom just as the bleeding hearts would cascade over them. It was pretty for a couple weeks. Then the delphiniums would start their show etc. Perinatal beds are great when you get them timed right. Oh...here in Arizona now, in the high desert where it will be over 110 for the next several days. I grew hollyhocks and enjoyed them in the spring. I've had one plant that just wouldn't quit. I dug them out. Had them dug out but there was always one sweat potato left to take off and cover the whole bed. I finally plugged up the emitters on the irrigation for that bed. The sweat potatoes are pretty but are too thick a ground cover for here. I prefer things here that grow up and keep the ground clear. I like vining plants like star jasmine, pink jasmine, banks rose and tangerine beauty. Those sound like great suggestions! I live in Knightdale, NC, and I have one of these 'regretable' plantings. I just don't know what it's called. I inherited it when I rented my home. Little pink flowers on a long stalk, with 'silver' fuzzy leaves. I'm finding them everywhere! 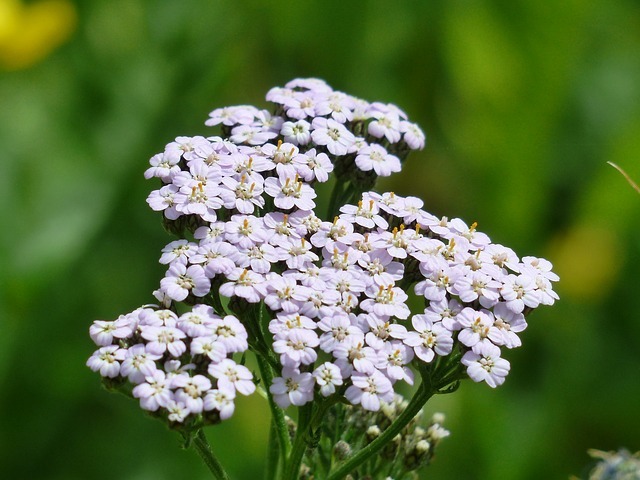 I also have the yarrow, but it's not over taking it's spot. I don't know what zone I'm in, but I'm near the Capitol of NC. It sounds like you have Lambs ears. It can become invasive. My personal list of 'promiscious' plants: Aquilegia (colombine) Feverfew Crocosmia Virginia creeper is pretty easy to control with a secateurs. It is very 'curious' though and likes to explore. So it will get in under fascia and soffits, travel into lofts looking for light and then send shoots back out again under the apex of roofs. I love the term "promiscuous plants!!" I'm reading this and smiling. What a difference zones make. I'm in zone 8a, and our yearly temperatures can range between 14 and 114 degrees Fahrenheit. That's not a typo- if our winter doesn't kill it, summer will. When it rains, it floods. Mostly it doesn't rain, and things catch fire. My soil is 10-18" of alkaline clay over solid limestone. Gardening here is a constant search for "what plant refuses to die" and it's mostly an exercise in futility. I think I've killed about half of the things on this list- by accident. There's a handful you mentioned that are toughing it out (with shade and irrigation), so I'm going to go shopping for a few on here I haven't tried. I'd add anything in the amaranth family, and prickly pear cactus. Unless you can eat them faster than they can propagate. Thanks so much for the insight! When I originally wrote this I never dreamed it would make it past my small circle of readers in zone 3a. Your growing conditions sound really tough! I have had trouble with Morning glory and a trumpet vine, i had no idea these plants would come up everywhere. I moved away from the Trumpet vine but still have trouble with Morning Glory,this plant was at my new place so the fight goes on. I disagree with many of the plants listed here. Groundcovers are supposed to cover the ground, if they get out of your beds mow them. 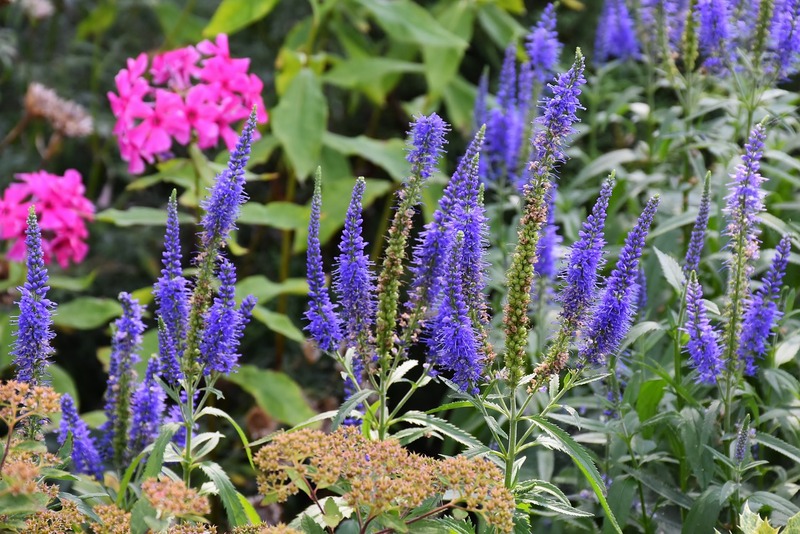 I moved into a home that had a lot of these perennials and they have matured into easy to maintain old garden beds that may require weeding once or twice a season. Used underneath flowering shrubs or specimen plants, they can be quite lovely and reduce the need for weeding and mulching. Despite their invasiveness, they still have either beautiful flowers or leaf texture/structure or can be important sources of pollen for bees. In the right application they can be lovely (such as naturalizing an area that you may not have time to maintain and don't want to mow) Many of them used in conjunction with each other provide nice textural contrasts as well as beautiful flowers and can keep each other in bounds. Perhaps this is just my ground though. I have not found many of these difficult to control and love that they compete well with each other and provide a nice textural structure without a lot of messing around, allowing me to focus efforts on establishing the specimens such as a garnet laceleaf japanese maple (which by the way the lillies of the valley work wonderfully underneath). Lucky for you that you can mow them. Many of us in the desert portions of the US have dirt with a huge percentage of rock from pebble size to basketball size. You can't rake them as it just unearths more. Pick them up? You're kidding me! Sometimes I see a 4" rock that I can't unbury because what I am seeing is only 10% of its actually size. Mowers and rocks do not mix well, and trying to mow a rocky area is dangerous. This goes to show that what one person considers to be an obvious solution is impossible for others to implement. Hello Kristen and global friends: Thank you for sharing these information with us and I totally agree with you since these certain "Perennials" can take so much space in your garden. However, in my case, I welcome them especially the Sunflowers. Last year, the birds, the butterflies and other living creatures, like us, do enjoyed them especially on Summer and Fall. This Spring and Summer, I transplanted these variety of "Perennials" in paper Solo brand soup cups and gave them away to our Scarborough community residents, as well as in our churches. These "Perennials" found new homes and we will be celebrating our Canada Day 150th Birthday! We also managed to raise funds for food banks and shelters. So, if we can't overcome them, then let us welcome them help us fund the needy community members. God bless you all! What a fantastic idea and use of your perennials!! Totally! Her garden sounds delightful!! I planted most of those invasive plants and then some (Lamb's Ears, Hops vine , also invasive, and other plants that were given to me over the years). While I loved many of those plants, after a while they took over and I eventually got rid of most of them. I still have Lamb's Ears and Yarrow. I have quite a big garden and that is my problem. It got difficult to manage. But if you love any of those plants, you have to keep them under control by either growing them on their own in a separate spot or digging out shoots to keep them from spreading too much or as some of you mentioned, growing them in pots. Campanula! They are fighting with wheatgrass and winning in Quebec. Roots trace down to 2 feet and spread away, far far away. Despererate about it when looking at my veggies garden. This has been an interesting and fun post and comments. I would like to add Vinca to your list. I know I should be more aggressive about keeping it inbounds, but it is under and around so much that it became daunting. Thank you to you and all your contributors. I happen to be one of those who like invaders. They require tending, but I like the romantic English-style garden in my back. Neighbors like to receive the ones that even I find out of bounds. You forgot morning glories. I get all my exercise trying to keep them contained!!!!! I will definitely add those to the follow up post when it happens. Thanks for the suggestion! Violets! Mom told me not to take some from her garden because they spread everywhere. I loved the sweet flower and thought the more the better! Well... now that violets are everywhere, even growing throughout the lawn, I swear some days I can hear Mom calling down from Heaven "I told you so!" Lol, I feel like that about my garden and my Dad too. I'm in 5b, so some of these are well behaved enough. Every very year i am cursing the day i planted Virginia Creeper. I started yanking it out about 5 years ago, and all through growing season I'm on the lookout for seedlings to pull. However, I also have the variegated variety which is very well behaved and not invasive at all, nor does it reach as far, and it's gorgeous. My #2 worst idea has to be planting Mother of Thyme. It's a mother all right. Just not the kind I want. It. Is. Everywhere. There are probably others, but those two top my most hated list. I think it depends on what variety. The very basic white and yellow ones are the "problem" and in some people's growing conditions they aren't a problem at all. and then God created Morning Glories . . . may as well call them perennials, as they reseed year after year! I do have a small patch of land that I'm filling with Chocolate Mint - it smells/tastes wonderful! My Daylilies are stuck against a cement wall - and are being dumb enough not to try growing out! Greatly appreciate your list! I believe much depends on location. I'd love to have rhubarb but no success in east Texas. Tennessee as well. Great info to have and consider specified regions or zones. Yes, I really should have specified zones. I will make sure to do that when I write a follow up article. I never dreamed this post would go viral!! I guess it just depends on where you live! I live in the Texas Panhandle and try so very hard to grow some of those flowers and despite "babying" them they do not grow well here. I envy those of you complain so much. High, dry and windy weather plus cold in the winter does not allow me to have the excess of envading plants. Enjoy what you have. Wow, those sound like really difficult growing conditions. Do you have a local gardening group? (In real life or on Facebook). I know mine has been a huge help in figuring out what works well in this area and what doesn't. I live in the high desert on the west side of Colorado. The "promiscuous plants" here are rabbit bush, artemesia, bindweed, puncture vine and salsify. They all grow in gravel areas that have no irrigation. Oh, my aching back! Thanks for the additions to the list! What else can you do, right? Some of these flowers are beautiful and would bring me joy to have half of them growing in my yard. Especially over winter creeper and constantly pulling up bindweed. Wish I was your neighbor to get take some of these problem plants out of your yard. I actually don't have all of these in my yard, just a lot of ferns and bellflower (which I'd be super happy to share!!). I belong to a provincial gardening group and this was a compilation of everyone's suggestions. Hopefully you'll be able to give some of these a try and they will work for your growing situation. Flocks have taken over my beds. I love they flower a long time but they are hard to get under control also. My biggest issue is Ajuga. I didn't plant it but somehow it has taken up residence in my flower beds. Impossible to get rid of. Also, Violets throughout my lawn. Any suggestions would be appreciated. I wish I had an answer to the violets, I have the same issue in my yard. In theory, if you are comfortable using chemicals in your yard, you could use round up on them with a paint brush. However, unless you only have a few, I think it would be quite an annoying solution. I just embrace them for now. This was a very interesting post. I live in WV and I can say that although many of these plants are invasive here, they have not taken over. I love, love, love my daylilies. I have about 20 different varieties and they bloom for nearly a month. Not all at once. And although each bloom only lasts 12 to 15 hours, each plant will bloom for nearly 3 weeks. I have a few re-bloomers too. I find them attractive even when they are not in bloom. Virginia Creeper I have to admit is horrible. Deep roots and often has poison ivy mixed in. That and wild grape vines are very hard to dig out. I love my wisteria though. It provides a lovely canopy for our hammock. We give it a good pruning every year right after it blooms to keep it in shape. But mind you never cut off any sucker from a root. Get a pair of pliers and wrench it off to prevent future suckers. That goes for many trees too. Never cut the sucker at the ground or root. twist it off. I am aware of mint so I just got some chocolate mint and put it in a planter. My cousin had some in her yard and every time they mow they still smell mint. Not such a bad thing. We have very heavy clay soil and so many of these species are controllable. I don't have a problem with ferns. I try to grow them along the northern side of the house but it takes so much effort to amend the soil that I only have one. I have had a problem with arium itallicum. It is a bishops hood or jack in the pulpit. I keep a nice patch that I can see from the window in the winter. It is a green as can be with a foot of snow under the leaves. But the birds eat the berries that come from the "hood" in late summer and have dropped them in places I don't care for them to be. When they become overbearing, I don't let the berries ripen and I will pull a few out to make more room for my hostas that I defend from the deer with Liquid Fence. It is either that or a gun. But I live in the city so.. no gun. My sister always loved lily of the valley and had a shady area she just let it take over and it smelled and looked lovely too. So s you say to each his own. It was enjoyable hearing your stories. 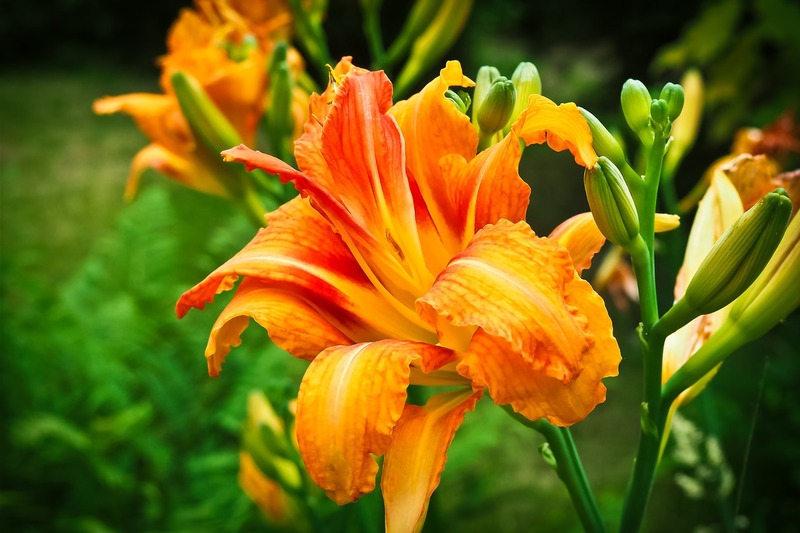 What varieties of day lilies do you grow? I would be very interested in your long lasting varieties. I just want to put in a plug for Lulaby Baby, my favorite daylily. Sweet, pearl-like color, massive blooms, blooms for weeks, nice foliage. I live in Maine. I'll have to check it out! I'll include it when I write my follow-up posts in the spring. For me, the invasive plants are violets, lily of the valley and morning glory, I've tried pulling them and digging them, nothing has worked. 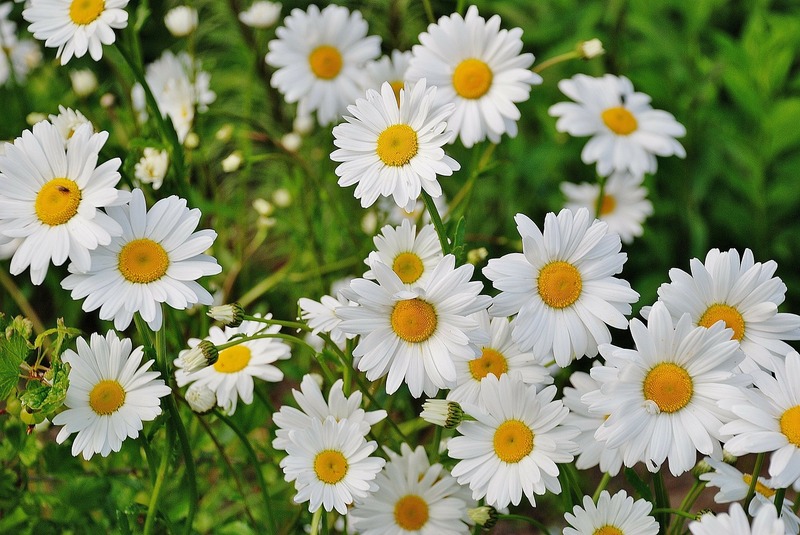 I have Shasta daisies, they are not invasive here, but the plant itself is bushy, so I trim it in the fall. I'm in Lancaster, PA. Same with the Violets. I loved how they have different varieties besides the purple, but they are everywhere! They grow in any soil. I'm in Lancaster pa too! I planted my vegetable garden with carrots, beets, other stuff and the Japanese beetles left everything totally alone because I cast in yarrow and tansy. And marigolds. The beetles destroyed the tansy and yarrow and left all my veggies alone. This year I had a regrowth of the weedy plants but just cleared the majority away and planted my veggies again. They love it. It's an ugly garden but the veggies are beautiful. I just can't convince any of my neighbors that this is a good thing. My regret is oregano. Ooh! What a great idea! Who cares what the neighbours think, I bet its beautiful!! Where do you live? I'm definitely learning that these perennials don't behave the same in all locations. I have a tiny yard in Maryland (10 x 10 yards). There I grow many of the invasive plants from the list (yarrow, bee balm, daisies, day lilies, campanula, irises, hairloom mums, anemones, Lilly of the valley, ferns, etc.) All of them are invasive in our climate. My trick for peaceful co-planting is to plant them in containers in the ground. I take large plastic pots (2-4 gallon pots left after planting trees or, better yet, large empty buckets from cat litter). I cut out the bottom and dig that bottomless bucket into the flower bed. It is important that the walls of the bucket go down more than a foot and stick above the ground couple of inches. Then I fill it with soil and plant the misbehaving plant inside the bucket. The plants can grow their roots down, do not need any extra watering or feeding, but they cannot spread out. You still need to deadhead to prevent reseeding. Thank you for your fantastic advice!! I found the article very misleading, where you live often determines what is invasive and what is not. I have many of these plants and do not regret planting any of them. 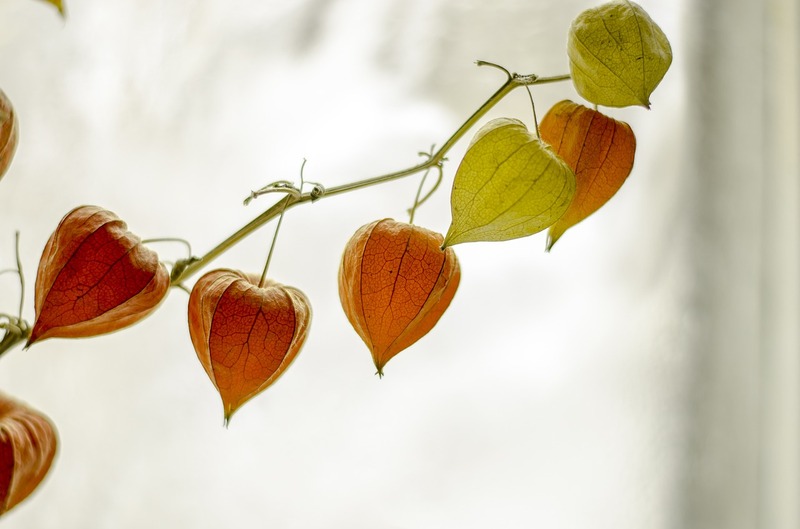 When I lived in Southern Ontario I did find that Chinese lanterns spread quickly but when I lived farther north I could barely get them to grow. That is just one example. And if something spreads where you would rather not have it, simply yank it out! Hi Joan, I agree, the title is a bit misleading, but I did mention that I'm in zone 2/3 and this article was based on the experiences of my gardening group there. There is one plant. Talk w pretty purple flowers. They spread under the earth and never stop until I attempted to pull them out and did use something to eradicate them. They were the start of a butterfly garden and bird haven. I had to start all over because the original space turned into A swamp! If you still have Japanese lantern, send some my way. My Mom had them in the back yard when I was growing up, and they disappeared before I had to sell the house. Another plant I'm looking for, for the same reason, is money plant. I have seeds, but they don't spout. I wish I still had mine! Apparently the only thing that kills them is drowning in water, so mine are no more. I can't believe no one ever mentions Monkshood. We planted 3 in a backyard border here in Calgary. We now have them everywhere - around the other side of the house, coming up through shrubs, all along the house foundation. I have pulled them up by the roots only for them to come back the next summer. I try to cut them back after flowering but they seem to seed anyway. Thank you for mentioning it! I'll be sure to include it in my follow up article this spring. Irises! Really!!! Step away from the garden! Thank you for Perennials You Will Regret Planing. I wish I would have had this information many years earlier. 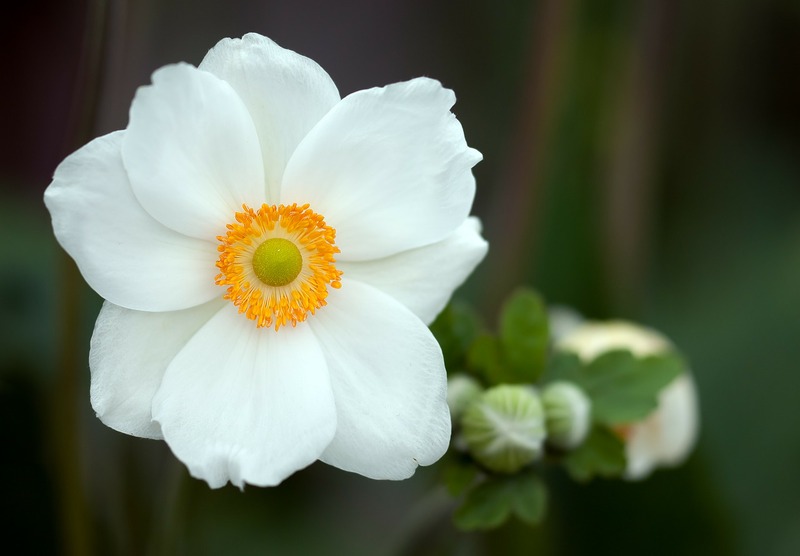 It would have saved me countless hours digging and pulling and even a terrible rash from the Japanese Anemone. I would add a caution for Black Eyed Susan/Rudbeckia. It has over taken one raised flower bed and is now spreading to the one below it. It is very bright and cheery but definitely needs work to contain. Japanese knotweed --invasive in zones 5b-6a Detroit MI... (no I didn't plant it.) I try to cut off the flowers to prevent seeding but it has deep underground roots and is trying to take over my vegetable garden. It will come back when you cut it but I have noticed that if I plant something else immediately it is in better control. Does any one have other ideas for control? I don't want to use herbicides in my compost-only fertilized vegetable garden. That sounds terrible! Have you considered mulch around your plants and on your pathways? Also, thanks for mentioning your zone and location. Hopefully someone in your zone can give you a better idea of what to do. Susan, Japanese knotweed is the Godzilla of all invasive's! When I discovered it on our property I didn't know what it was, it is attractive. After doing my homework I freaked out.... We had a tarp over it all season, we won. My neighbor was selling it as "Bamboo" at a rummage sale, I shared my experience and now we are are great friends. Keep cutting it down so it dies out. This stuff will break through concrete to survive. We do not want this evil plant to spread along creeks and rivers, it will be Pampas grass all over again! I am confident it is on Michigan's invasive list. Maybe call your local University Extension, Master Gardener Office they will advise you. We are in SE Wisconsin. This is the worst of all in OTTAWA, Ontario. Please include morning glories. Seek. They end up everywhere, can't stop them. The bane of my garden is spiderwort. it was controlled when I bought this house but spreads further every year. So far, nothing kills it and my efforts just seem to spread it further. I've even tried to dig individual plants and disposing of them. They grew in the area the dug-up plants waited for waste pickup within a week or so. I agree with the other gals. Some of these perennials are beautiful and the butterflies and hummers love them; however, a big, however, I do have a few of them but I try to cut to ground before they seed. I know, they have roots but I have not had trouble with them. I keep most of the daisies on the south side which is separate from my other beds by quite a bit. My neighbor has some of the daisies at her house but she doesn't mind as she loves them. She also has a few of my other invasive perennials. Loves them though. That being said, if you do not have the time to keep at these perennials, you will have a forest of flowers and no time to control them. Everyone have a great spring and summer. Judy C.
I find it rather sad that so many of the plants listed, really attract the pollinators. Funny how we're told to grow dandelions but not clover and a few others you mentioned. Personally, I think temperature, soil obviously - (I have heavy wet clay most areas or thin soil over bedrock) and a preference to what kind of garden you want, are the major criteria. I prefer flowers and gardens to lawns , which are expensive, heavily water dependent and don't give much back to nature. I'd rather see a plot of wild flowers growing and bees, hummingbirds and butterflies than being concerned about what is in the garden. I live in zone 4a in northern ontario. I love gardening! However, in this age and stage of my life, I don’t have endless hours to devote to plants that require a lot of maintenance. I’m sure when my son is older I’ll be able to handle the maintenance that some of these plants require. Thanks so much for reading! I thought it was interesting you seemed to include some of the same plants on your go to list as your no- go list. Personally I prefer native plants. And I live in Texas, so what you guys up north call invasive, we call hardy. Good to know! I'm curious, is there any plant that's particularly problematic in Texas? I have a few members in my gardening group from there. 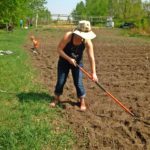 I included some of the plants in both lists because these lists were a compilation of the opinions of the members of the Gardening in Saskatchewan group, with some of my own personal opinions and experiences thrown in. WOW amazing info!!! I love ferns and have 4 huge ones in pots hanging... Yes Hanging... They are beautiful and I always get the "WOW" factor when people come over. I have just over 60 potted plants in my yard. I have zero dirt to plant anything in so I have to have everything in pots. I live in Los Angeles along the coast. Ive been gardening for 15yrs. I hve no dirt because of the swimming pool. I wish I could post some pics because my tropical paradise (thats what people call it) It really looks amazing...but I have started to notice that ferns are showing up in other pots... I was surprised to see ferns growing out of other pots so I would just yank them out. This year they tho there are more than last year. I just yank them. I spent the last 7 weeks repotting plants into BIGGER pots. I dont have much experience gardening, I just get what I like and what will grow in a pot. I just learned that fish emulshions is a great fertilizer so I bought a bottle of it but havent tried it yet. Someone said it might bring raccoons around and if that happened they would get my koi in the fish pond. ever try fish emulshion? I'd love to see your pics! If you join the Growing Roots Gardening Community on Facebook, you can post them so we can admire them. Sorry, I don't have any experience with fish emulsion. Horsetail Reed. Spa like..check Beautiful texture..check Absolutely take over your yard...double check. Takes TWO years of intentional poisoning to get rid of...triple check. Avoid it! Anenomes are my enemy!!! Neighbor gave me a few plants three years ago. They spread by a vinelike root and have overtaken my perennial beds. My husband has resorted to hitting each one with a little poison......tedious job but may work. Pulling them out is not the answer....those roots are already traveling!! Lambs Ears. So sweet and soft at the nursery in pots... then they take over your planting bed. Never again. Good to know about the clover-as-lawn option. I'm so glad you found it helpful! Oh my gosh, Tansy....the previous homeowners at my house planted it in the perennial bed and it is EVERYWHERE now and completely impossible to get rid of!!!!!!!!!!!!!! I dug out so much of it last year and it's all back. Hate it, hate it, hate it. Just found your site, I look forward to having a good look around! Glad you like it! I'll have to check yours out as well! 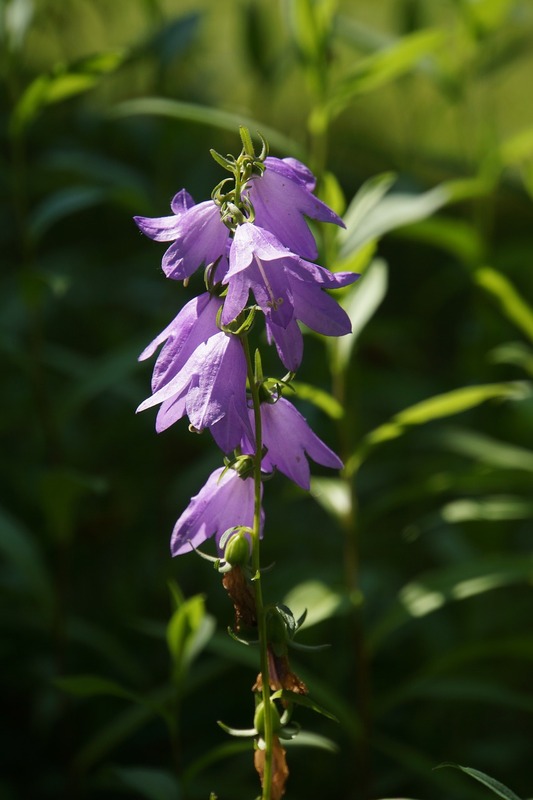 So how do we get rid of the bellflower and goutweed? If you want to plant something in that same area, you'll have to pull the plants for years. A chemical like Round Up will help, but even it can not prevent them from coming back next year. If you don't want to grow anything in that area, you can smother the area with cardboard or landscape fabric and 4 inches of mulch. One plant I would add to this list is Purple Globeflower. Pretty, but hard to get rid of. I cannot believe they still sell Yellow Bleeding Heart (Corydalis Lutea) and the various variegated bamboo grasses. The bleeding heart readily self seeds and bamboo spreads with rope like roots. Roundup does not slow it down and I am Zone 5 so cold winters do not stop either plant. As someone with a degree in plant and soil sciences and an agricultural extension employee I find this article troubling. This is click-worthy, but a negative message overall. Spreading personal preferences off as “bad species” advice promotes miseducation about ecology. I expected an article on ecologically damaging or dangerous plants, but this turned out to be a little overwrought. Experienced gardeners know: You need the right plant for the right place. Vilifying plants that self propagate is over-simplified. The foremost landscape designers and architects are gifted in working with drifting populations of spreading perennial and shrub species. It’s perfectly okay to not have time to maintain tight lines, or have a small yard, or dislike a natural look, or be a lazy gardener. I qualify for three of these four. But I would never tell people that plants I don’t like because they don’t suit my needs are bad and they shouldn’t use them. Please educate yourself about plant selection, garden design, and ecological landscaping from reputable sources and stop influencing people’s relationship with nature with misinformation. The environment needs a break. Hi Jessica, I'm sorry you feel that way. You are absolutely right, the title is click bait-y, but that is part of my job as a blogger. In my defence, this article was meant to be a bit humourous, and I'm sorry it didn't come across that way for you. I tried to put disclaimers on it, and if you've read the comments, there are many people who disagree with what I've written, to which I've often replied--if you love it, plant it. It doesn't matter what some random-person-on-the-internet says. Many of the garden bloggers that I follow don't have degrees in horticulture, nor do we profess to. I think it would be a wonderful idea if you would start a garden blog yourself. There's definitely a niche for garden blogs written by people with an education in plants and I'm sure you would do an amazing job. Please let me know when you do and I'll be the first to follow you. (I'm not being sarcastic.) Happy gardening! Kristen. I live in Colorado Springs, CO where growing things can be crazy, you don't know what will come back once planted. I have Holly Hocks and have for the 7 years we have been here. We love them. No maintence. During winter we do cut them down to the ground but they do come back every year. Tons of blooms. Bees do love them so don't plant close to your doorway. Yes, it replants its self and also the birds spread the seeds some but that is not a problem. I am growing many mints. Some in a raised bed and also pots. I think if you keep up on trimming them back then they do not take over. As for me that is. Love Sweet Mint and we use a lot in our sweet tea. I dry a lot of my mints and herbs and use them in foods and they last into winter. I dry them by just laying them on a paper towel and leave them alone, when dried out then put in a container with lid. My Lemon Mint has not really taken off like this article said it does. I do have it in a pot. Thank you for the tips about the mint and the hollyhocks! I will definitely share them with my readers. I've never heard of pink lily of the valley! I wonder if it would spread as much as the white variety? I ask because with day lilies, it seems to me that only the common orange variety has a spreading habit, not the other colours. Convallaria rosea is the name I found for them. I was thinking they would be so pretty, but also wasn't aware they are TOXIC to pets. I have a dog, and we have a stray cat that hangs around our house. So I need to put them somewhere outside of the yard. I will be planting them in the spring. Thanks for the post! My yarrow & daisies behave nicely, but my raspberries are out of control! lol My unintentional invader: Verbena Bonariensis. Great structure plant, but oh my!, just one season & it reseeded in the next three yards down the street. Avoid it. I really enjoyed this article & I'm glad I found it! Congratulations on going viral :) The comments were great to read also -except for the few naysayers & you handled yourself well! I've probably spent 45 minutes, reading intently! Lol... I'm in Michigan, zone 6a. I've either fought or embraced quite a few of the plants on your list and ones that commenters have mentioned, as well. I'm also enlightened about a few others & I thank you (& everyone!) for that. But... I never knew people actually planted Virginia Creeper on purpose! It's always been a weed to me? :) Rudbeckia, Siberian Iris & Cranesbill Geraniums are what I'd add to the growing list. ps) this thread has been going for over a year!! Thanks so much for your kind comment! Every time someone mentions planting Virginia Creeper in a gardening group, I shudder inside--especially after hearing everyone's stories. 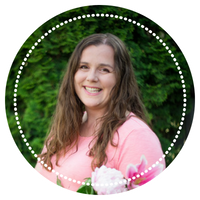 I also love hearing what is a problem in other zones than I live in--it helps me be a better writer on this blog and be more sensitive to what might or might not work for all my readers. I have Hollyhocks that have taken over a new perennial bed that I've spent more $ then I care to think about on. I'm not opposed to the hollyhocks, just that they cover everything with their huge leaves the first year b/4 they bloom the second year. Can I cut back the leave to give my new perennials a chance to get started and then move the hollyhocks next spring to a new bed? Or will they die out if I cut them back now in August. They're a biennial so takes 2 years to bloom. I think as long as the seeds have dropped so they can re-seed themselves, you should be fine. I can agree with you on most of the perennials. We live in South Carolina now, but lived in Illinois for almost forty years. Early on in those years, I planted spiderworts, hollyhocks, lily of the valley, bee balm, and others, but the absolute worst one was snow on the mountain. I called it my plant from hell. Whenever I would dig it up, I through it in the field behind us. It didn't matter if it landed upside down or not, it would come back the next year. So yes, unless you can have a spot dedicated to one of these particular plants, don't plant them in the ground. I love all plants, well maybe not all, but I am a lot more careful what I plant here in the south. I am enjoying many plants I've never grown before. This had me giggling! I do believe I have everything growing in my yard, however I doubt I planted it all! I also have traveled across the country so much that I have learned there are multiple names for the same darn plant. And that what is a perennial here is an annual there. My personal love/hate relationship? Creeping Jenny. Oh my goodness! This is my favorite/least favorite return! I LOVE that bright green. I absolutely did not plant it over there, or there, nor in that container, or that one! But golly, it's pretty. Oh my, look! Creeping Jenny on CLEARANCE. I'll take a dozen! OH NO! I have no where to put these. And so on. I'm at a weird point in my life that I can't part with the weeds that are strong enough to support the Morning Glory that I didn't plant. It's a beautiful hot mess. Some folks are restricted to rock gardens. I'll take this beautiful hot mess. I grew a pear this year! After a two year wait. I made a pear! I'm so ok with everything happening in my garden. I want to meet the person who plants clover on purpose. I want to buy this person a drink and ask many serious questions about life. This person MUST know some serious stuff. Because, CLOVER? Just thinking outloud. All I can say is you are my people. Thanks so much for commenting, it totally made my day. I am struggling with Perennial Bachelor's Button. It has completely taken over my lawn and now it is spreading to my lawn! I didn't even choose to plant it! It was sold to me as an Aster plant which I love! Oh no! What zone are you in? I think you are confusing perennial with low maintenance... You list many of the plants as terrible because they spread and overtake your garden in a couple years. In one example in 5 years! That is a long time to not maintain an area. Yes, they will grow. That is what plants do. Do not say the plant is bad just because you do not want to / have the time to maintain it. Hi Susan, you are right, no plant is "bad" per se. 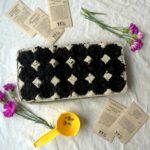 This article was written to be slightly humorous and for the person who is new to perennial gardening and might not realize how much work it can be. As I've said many times before, if you love it, you should plant it. This made me want to run out and grab most of these plants for my garden! Hardly anything grows well st my place. However you forgot Wisteria. You must not have any experience with that. Leave it alone for s minute and it’s from the devil. You're right, I can't grow it in zone 3. However, I've heard a TON of horror stories from my readers and it seems to be a definite no-no. Study everything about pollination and most of the 28 plants you listed are great for our pollinators , who supply 60% of our daily food, but hang around and they will disappear on there own as soon as the Bees and other pollinators are listed on the list of extinction? It's true that all of these are great for pollinators, and if you love them you should plant them. 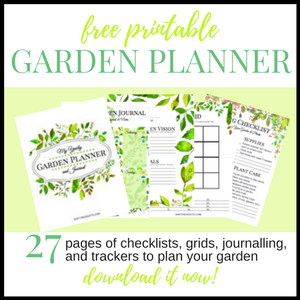 This list is intended for a newbie gardener who might not be as vigilant with their plants and easily get overwhelmed by a plant that didn't produce as expected or overtakes a yard with a year or two of neglect. 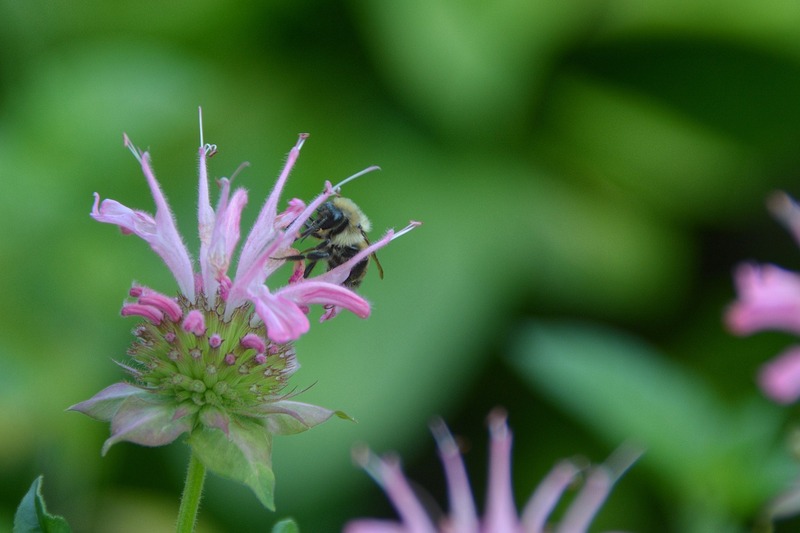 There are many other plants you can plant that are equally as good for pollinators. Don't forget Russian Sage (Perovskia Atriplicifolia) which quickly outgrows anyplace you plant it and trying to dig it out is a monumental effort. May Night Salvia (salvia x sylvestris 'May Night') which prolifically reseeds into your lawn. Please use caution reading this list. Most are fine. If you really want to know which ones are invasive, check your DNR state website for an official list of plants to control. It's true, this is intended for zones 2 and 3. In other areas these perennials aren't problems at all. Thank You! Fascinating ! I always thought our difficulty in growing the plants you mention was our " cold" zone 4. But you have a MUCH colder climate and this Fascinates me! I feel lucky to be growing my ONE daisy in my greenhouse! Which is why I have a greenhouse filled with Bouganvillea, hibiscus, petunias, fushia, canna lilies and geraniums, jasmin, amarillas, carnation, chrysanthemum, and about every plant that blooms and it is crazy flowers out there and it is almost dec. but why can't we grow outside like you? What ? We can grow annuals like crazy? I think what I learned is that saying my Grandma taught..."A WEED is a Beautiful Plant growing in the wrong place" But it makes me REALIZE there is No SUCH thing as a weed! We were cooking in Rising summer heat because the afternoon sun hits entire side of our house. Husband was talking air conditioning. I wanted to plant a big tree but our old sewer line would be below it. Our neighbor invited us to have ice tea on their back porch covered by Virginia Creeper. SO Cool!! The leaves formed a canopy and transpired cool refreshing air. We came home and built a mesh trellis that went up to roof of our house and I bought Virginia Creeper. It was slow to cover but 2 nd year we sprayed the Tunnel it was forming with water on hot days.....no air conditioning needed. It has made a nice canopy over the decades if a runner tries to strike out across the lawn ( rare) I lift it up and secure it to the trellis. Even with temps now in 100's the house stays cool all day and I don't even spray leaves with water....if someone bought our house and had the belief that Virginia Creeper was a weed and took the trellis down they would be burdened with expensive air conditioning bills from then on! So I guess I would say Grandma was right....live with your plants awhile and See how you can maintain Harmony in the unique conditions you live in....how to make your " Weeds " work for you. One thing I learned since writing this post is that these "problem plants" are certainly not problems everywhere. I also live in a place with generally fertile soil, so that might also be why some things run wild here that don't do as well in your zone even if it's warmer. I love your grandma's saying and the story of your Virginia creeper. What a fabulous example of using a plant to your advantage! My big mistake was Salvia Coccinea, or “Coral Nymph Salvia”, one of the Texas Salvias. It’s a beautiful coral color, and the Hummingbirds love it. In my zone 8, the host plants die but they are prolific re-seeders — and will pop up anywhere. Well, I love the way my ferns look popping up here and there. They complement the hostas in my shady woodland garden and the ones I have don’t seem too aggressive. Maybe that’s because I have clay soil and also because I cut all the fern fronds off - right down to the ground every year in mid February or early March. This way, they don’t get overly bushy. On lily of the valley, I totally agree it is invasive, hard to pull up and not even pretty! You’re also right about daylilies. I mean, I grow them, but the foliage does take up a lot of space, the bloom colors seem washed out and don’t last long. I read somewhere that each day lily blossom only lasts one day. Yes, irises are also short lived, but I really like the deep purple color of my tall Siberian iris. They look so pretty bending over the front-yard birdbath, so I’ll keep those. Besides, they’re fairly well behaved and the foliage makes a nice backdrop for annuals. I can easily dig up a clump of iris to fill in a bare patch for next year - I don’t have to dig a huge hole in the clay soil - just partially cover the tubers and they’re good to go. I agree about bee balm, though the red one can make a nice punch of color. Appreciate your advice on some of these others (especially Veronica. I was considering it, but now I’ll stay away from it). In my experience in my garden, Lady’s Mantel is awfully invasive and pops up all around my stone pathway. Also, a terrible groundcover called adjuga - I think that’s how it’s spelled - anyway, it will get away from you if left unattended and it’s so ugly it’s not even worth it! I do hope the beginning gardeners reading this post will at least try growing a rose or two. We gardeners mostly learn by trial and error. 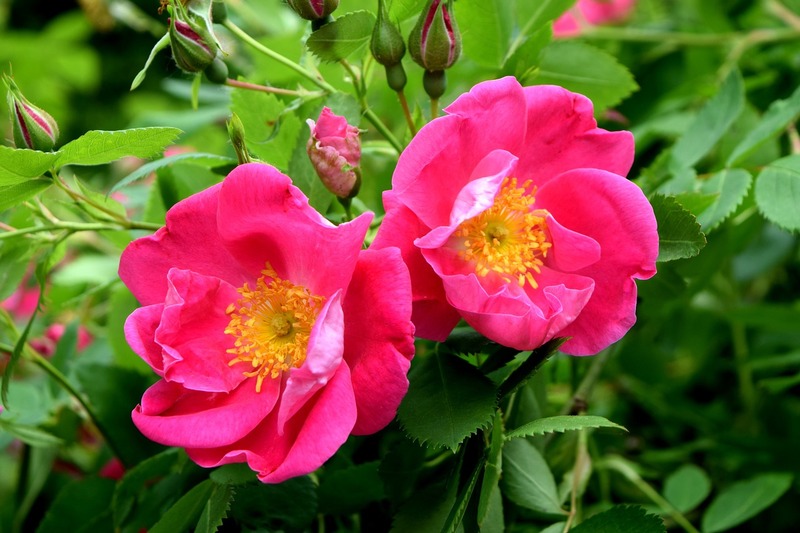 Roses present a challenge but also can provide many potential rewards. Oh yes, and unlike one of your readers, I love black eyed Susan’s and highly recommend this cheerful garden perennial. I like this kind of article; I look for plants people consider invasive because I have a lot of trouble growing things where I am(zone 5 cleared woodland, very rocky poor soil). Goutweed dies here. Wow! That's incredible! I hope there's something on this list that will work for you. I'm glad you liked it! Ugh, spearmint--my condolences to your garden! Hi, A lot of the flowers mentioned, if you don't want them - mail them to me in Ontario Canada whether it's with the roots or just bulbs or a few seeds ... There's always someplace to plant them ... I love growing a garden & it's hard to find perinneals that can stand our long cold winters so I would love to see how they do ... this, I'm going to try growing morning glories in a hanging planter ... if you want my mailing address, email me at [email protected] ... I would love a few flowers you don't want... Thank you.